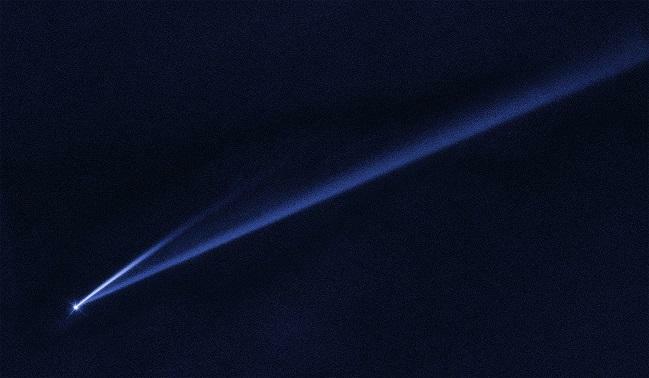 Hubble Space Telescope captured this striking image of asteroid (6478) Gault, showing two narrow, comet-like tails of dusty debris. Each tail represents an episode in which the asteroid gently shed its material—key evidence that Gault is beginning to come apart. University of Hawai‘i at Mānoa astronomers have recently made a dramatic discovery about asteroids. 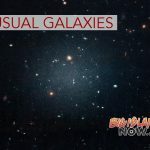 But new observations are turning science fiction into science fact, showing that asteroids are anything but dull, a March 29, 2019, press release from the University of Hawai‘i Institute for Astronomy said. Asteroid Gault, discovered in 1998, has begun to slowly disintegrate. 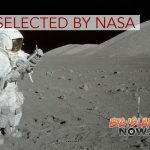 The crumbling was first detected earlier this year on Jan. 5, 2019, by the University of Hawai‘i at Mānoa Institute for Astronomy (IfA) Asteroid Terrestrial-Impact Last Alert System (ATLAS) telescopes on Mauna Loa on the Big Island and Haleakalā on Maui. Later investigation proved there were no asteroid collisions. Gault is a well-known asteroid and the newly found tails are the first evidence of any misbehavior. 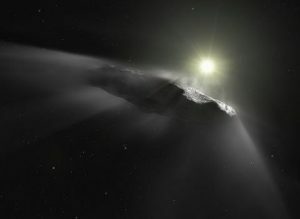 These new observations suggest that asteroids are dynamic, active worlds that can ultimately disintegrate due to the long-term subtle effect of sunlight, which can slowly spin them up until they begin to shed material. Astronomers estimate that this type of event is rare, occurring roughly once a year among the 800,000 known asteroids between Mars and Jupiter. That’s why only the latest astronomical surveys—like ATLAS—that map vast swaths of the sky nightly, can catch asteroids as they fall apart. Once the new tail was discovered, Denneau and IfA colleague Robert Weryk looked back into archival data from ATLAS and the UH Panoramic Survey Telescope and Rapid Response System (Pan-STARRS) telescopes. The tail also turned up in data taken as far back as December 2018. In mid-January, a second shorter tail was detected by IfA astronomer Jan Kleyna using the Canada France Hawai‘i Telescope (CFHT), as well as by other observers. An analysis of both tails suggests the two dust releases occurred last year around Oct. 28 and Dec. 30. 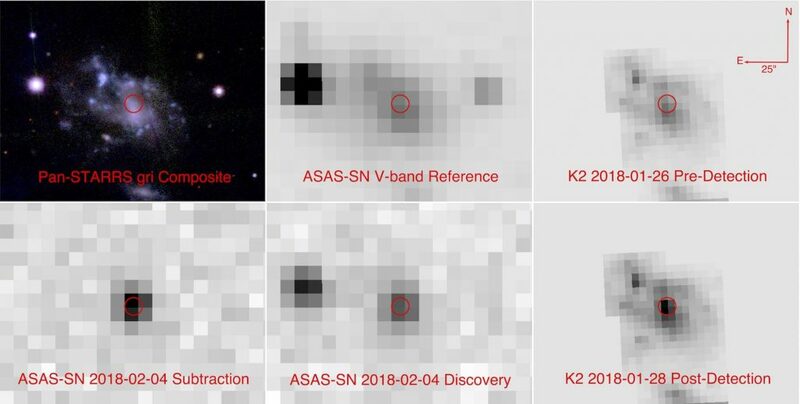 Tantalized by this new discovery, IfA astronomers Kleyna and Karen Meech, along with colleagues worldwide, began to observe Gault with telescopes around the world and in space. Spectacular images of asteroid 6478 Gault from NASA’s Hubble Space Telescope show two narrow, comet-like tails of debris streaming from the 2.5-mile-wide asteroid. The tails are telltale evidence that Gault is beginning to come apart by gently puffing off material in two separate episodes over the past several months. Gault is only the second asteroid uncovered whose disintegration is decisively linked to a spin-up process, known as a YORP (Yarkovsky–O’Keefe–Radzievskii–Paddack) torque. When sunlight heats an asteroid, infrared radiation escaping from its warmed surface carries off momentum as well as heat. This creates a tiny force that can cause the asteroid to spin faster and faster. If this centrifugal force overcomes gravity, the surface becomes unstable, and landslides send dust and rubble drifting into space.